If you’re a single parent who is extremely stressed out, you’re definitely not alone. There are more than 13 million single parents in the US who are raising children on their own, many of whom are just as stressed out as you are. People are single parents for many different reasons—divorce, death, even by choice. Many military spouses have to be a single parent while their partner is deployed. No matter what your situation is, being a single parent is hectic, exhausting, challenging, and financially taxing. 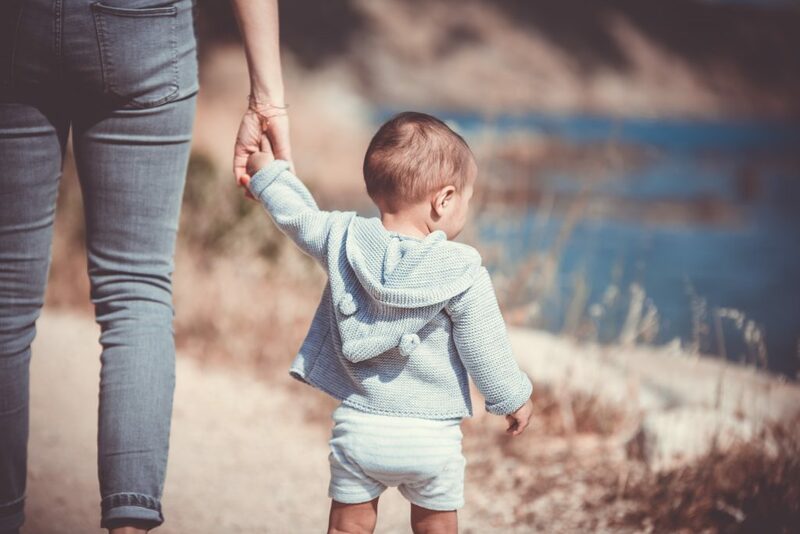 Luckily, there are plenty of survival tips, parenting hacks, and general pieces of advice that can help minimize the stress in a single parent’s life. One of the best things you can do as a single parent is make friends with other single parents. Set up a support system where you help each other out. You can ask each other for advice, vent to each other when you’ve had a stressful day, and give each other some much-needed breaks. You can take turns watching each other’s kids so that you can have some fun outside of the house. You can even take turns hosting sleepovers, so that you get a full night to yourself to watch Netflix, have a glass of wine, and order takeout. It’s easy to meet other single parents at your kid’s baseball game, school functions, or even in a single-parent support group. It’s crucial to be consistent and predictable with your discipline towards your child. As soon as a child thinks they can get away with bad behavior, they’ll begin to cause a whole lot more trouble. You have to be strict and follow through with punishments if your kid breaks one of your rules. If you don’t follow through with disciplining them, they won’t take your rules seriously. It will significantly reduce your stress if you learn how to budget. One of the number one causes of stress for single parents is being tight on money. Financial struggles can be incredibly stressful, and if you don’t have any wiggle room, you’ll start to panic. Give yourself that wiggle room by budgeting. Make sure to always a plan for unexpected expenses, and if you don’t know how to budget, get help from a professional or use an online budgeting platform. When you’re a parent, it’s tough to be financially responsible because your kid is always asking you for something – and that something almost always costs money. Remember, however, that you can say “no” and shouldn’t feel guilty about making tough decisions. Even when you do say “yes”, you can save money by looking for that item at a thrift store or asking a friend for a hand-me-down. If you teach your kids how to quietly and independently play, you’ll get a lot more rest. There are plenty of independent activities your child can engage in without bugging you. They can color in a coloring book, build a Lego house, or play a game on a smartphone. Don’t feel bad about needing time for yourself. Plus, there are plenty of benefits of independent play that are critical for your child’s development. It encourages imagination, problem-solving, and self-sufficient behavior. If you have a mom, dad, sister, or brother who lives nearby, involve them in the parenting process. Tell your sister that your kid would love to spend more time with Auntie. Ask your mom to come over and bond with her granddaughter. When you involve your family in your child’s life and keep them updated, you’re expanding your support system while also taking the initiative to schedule quality time with each other. The closer your family is with your child, the more reliable your support system will be.